Business Valuation is designed to quickly and efficiently produce trustworthy business valuations for management decision making and investor presentations. Projected revenue and expenditure line items are combined with capital structure and asset assumptions to automatically calculate the present value of a business or investment opportunity. Pro forma financial statements are accurately represented including depreciation schedules, tax and capital charges. Further assumptions enable customization to specific scenarios including realistic finite terminal value under diminishing competitive advantage, comparable scoring and weighted average cost of capital calculation. Valuation is calculated and presented under both the traditional discounted cash flow methods as well as economic value added based on the identification of investment type costs. Business valuation can be conducted on a standalone basis or two alternative valuations compared as a difference. Comparing valuations can be before and after structural changes or evaluation of alternative strategies such as purchasing or leasing an asset. 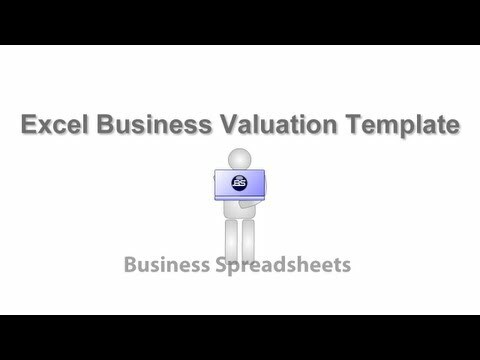 Business valuation is compatible with both Macintosh and Windows versions of Excel as a cross platform and highly portable financial management solution. The ability to assess economic value added based on capital expenditure for future revenue growth is essential for communicating value to potential or existing equity stake holders. Below are some frequently asked questions for Business Valuation. Q. What type of pricing plans does Business Valuation offer? Q. Who are the typical users of Business Valuation? Q. What languages does Business Valuation support? Q. Does Business Valuation support mobile devices? Q. Does Business Valuation offer an API? No, Business Valuation does not have an API available. Q. What other apps does Business Valuation integrate with? Q. What level of support does Business Valuation offer?